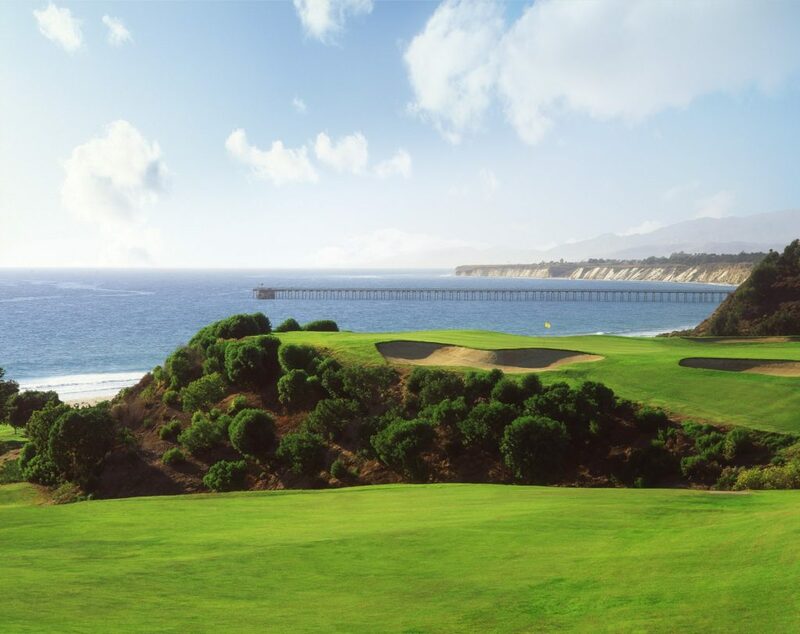 An Inspiring combination of challenge and beauty as championship golf brings you to the edge of the Pacific Ocean. With breathtaking ocean and mountain views from every hole, Sandpiper is truly a memorable experience. From majestic mountain views to the serenity of the Pacific Ocean outstretched before you, we offer several on course locations to accommodate any desire. Whether hosting wedding festivities, corporate function or intimate dinner party, our special events team would be delighted to assist you in creating an exceptional event. Events at Sandpiper Golf Club are handled with the utmost professionalism, local knowledge & consistency. Our attention to detail will ensure your experience surpasses your imagination. Sandpiper experiences begin at $7,500. Site visits by appointment only. In consideration of the Golf Course schedule advance notice is requested. The Grand Lawn at Sandpiper is an exceptional location for ceremonies or large events. Capacity: Up to 500 guests. Site Fees begin at $7500 which includes use of the Terrace Lawn. The Terrace Lawn at Sandpiper is an exceptional location for intimate to medium size events. Capacity: up to 200 guests. The Pacific Bluff at Sandpiper is an exceptional location for small to medium size events that require a unforgettable backdrop. Site Fees begin at $15000. As our premier location for intimate to medium size events, the view from the Riviera Lawn features both crashing waves below and a panoramic backdrop of the Santa Ynez Mountains. Site Fees begin at $9500 which includes use of the Grand Lawn or Terrace Lawn.